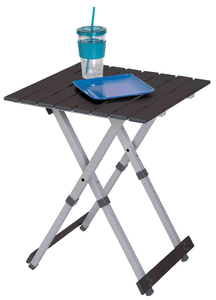 Picnic Time's portable Aluminum Picnic Table has a retro look all its own with a Formica table top framed in aluminum. Its sleek design is reminiscent of tables found in 1950s diners. 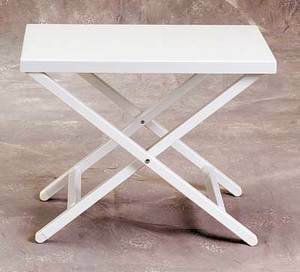 It's a compact fold-out table with bench seats for four that you can take anywhere. 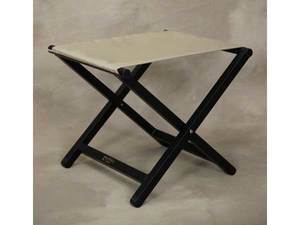 The legs and seats fold into the table when collapsed so the item is easy to store and transport. It has a maximum weight capacity of 250 lbs. per seat and 20 lbs. for the table. The seats are molded polypropylene with a basket weave pattern in a neutral gray color. The frame is aluminum alloy for durability. 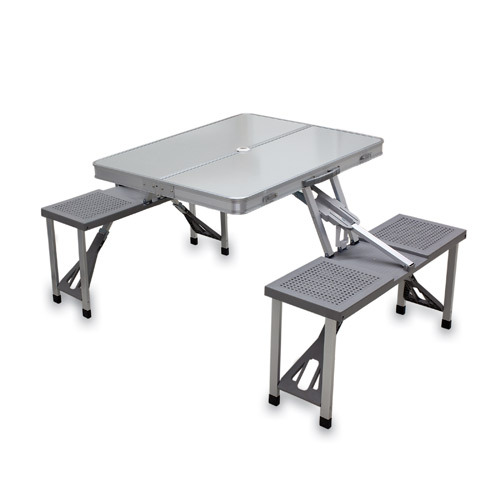 The Aluminum Picnic Table is ideal for outdoor or indoor use, whenever you need an extra table and seats. Table comes with 133 - w/Gray PP Seats.